After a flock of his assistants left for other programs last year, Mike Leach hasn’t spent nearly as much of the 2019 offseason restructuring his coaching staff at Washington State. Inside linebackers coach Ken Wilson created the only vacancy, leaving for Oregon in January. The Cougars have already filled the position, hiring former University at Buffalo defensive ends coach Roc Bellantoni. WSU formally announced Bellantoni’s addition on Tuesday. Chief of staff Dave Emerick was the first to reveal the Cougars’ newest assistant during the “Cougs in 60” radio show with Derek Deis. Bellantoni spent two seasons at Buffalo in various roles, working in 2017 as the director of player personnel before being promoted to defensive ends coach last year. With Bellantoni monitoring Buffalo’s defensive line, the Bulls bumped their sacks total from 19 in 2017 to 35 in 2018. While he doesn’t have any obvious connections to Leach’s coaching staff, Bellantoni’s time at Florida Atlantic University – where he was a defensive coordinator and linebackers coach from 2014-16 – overlapped with that of WSU Athletic Director Pat Chun, who was in charge of FAU’s athletic department for 5 1/2 years before coming to Pullman in January 2018. During his time with the Owls, Bellantoni oversaw the most productive career by a defensive lineman in school history. FAU defensive end Trey Hendrickson, now with the New Orleans Saints, left Boca Raton as the program’s career leader in sacks, tackles for loss, quarterback hurries and forced fumbles. Bellantoni also coached the defensive line at Villanova from 2012-13 after spending the bulk of his career at Eastern Illinois (2001-11), where he was a defensive line coach, defensive coordinator and associate head coach. During Bellantoni’s stint at Eastern Illinois, the Panthers won five Ohio Valley Conference championships (2001, 2002, 2005, 2006, 2009) and qualified for the NCAA playoffs six times. At WSU, Bellantoni will inherit an inside linebackers group that loses a veteran captain in sixth-year senior Peyton Pelluer, but one that also returns a trio of experienced redshirt juniors, including All-Pac-12 honorable mention selection Jahad Woods. Fellow fourth-year juniors Dillon Sherman and Justus Rogers have played in a combined 51 games over the last two seasons, while redshirt sophomore Fa’vae Fa’vae made 10 appearances in 2018. Barring any additional departures, Bellantoni rounds out Leach’s 2019 assistant coaching staff. 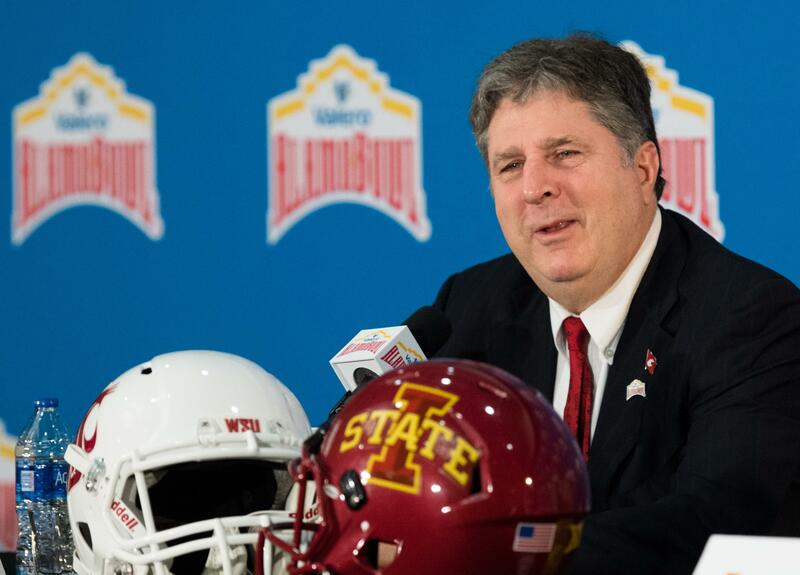 WSU also added Dennis Slutak on Tuesday, filling the director of football operations position formerly held by Antonio Huffman, who accepted a chief of staff position at Texas Tech a few days after the Alamo Bowl. Published: Feb. 26, 2019, 12:22 p.m. Updated: Feb. 26, 2019, 7:39 p.m.